Spend a lovely afternoon touring gorgeous new homes, viewing work from local artists, & enjoying complimentary wine & hors d’oeuvres! Are you looking for something to do this weekend? 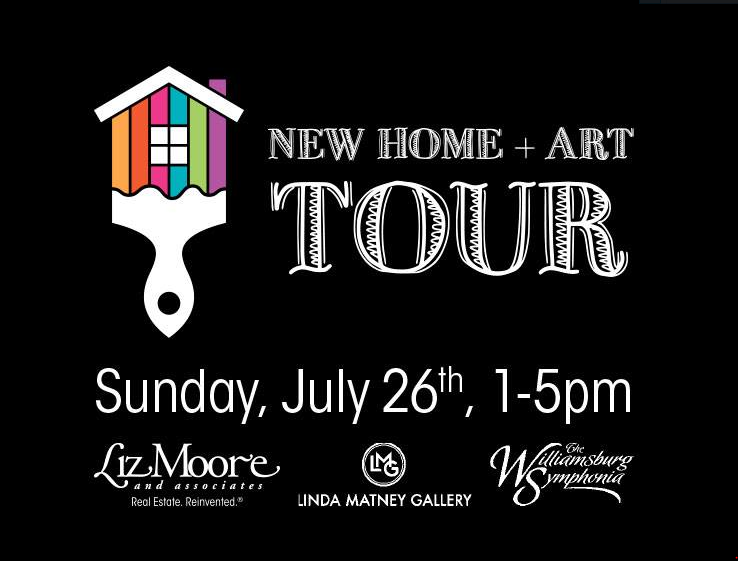 Liz Moore & Associates and the Linda Matney Fine Art Gallery have teamed up to bring you Williamsburg’s first ever New Home + Art Tour on Sunday, July 26th from 1- 5 pm. 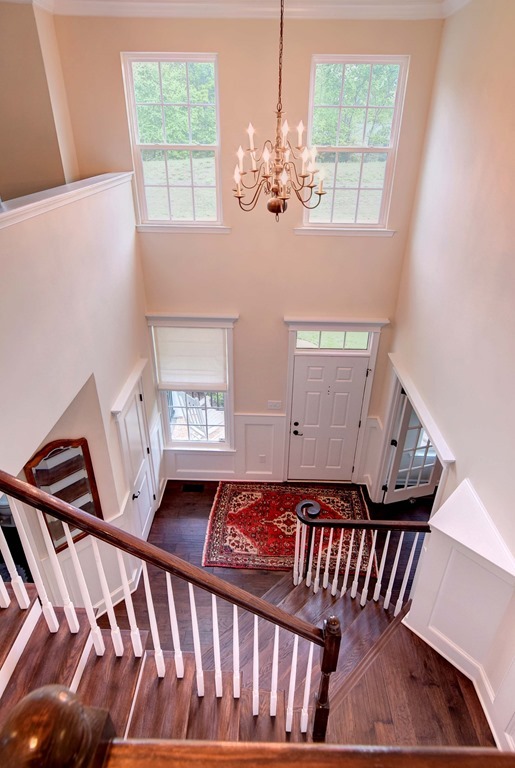 Spend a lovely afternoon touring gorgeous new homes in Fords Colony viewing work by local artists, & enjoying complimentary wine & light hors d’oeuvres. Click here to download a map of participating properties. 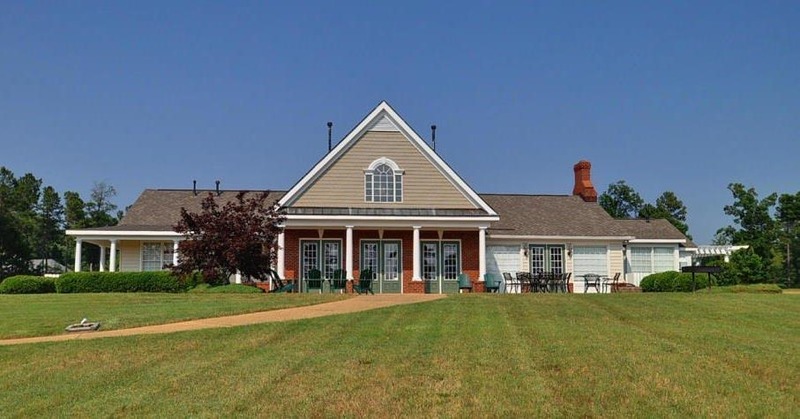 Anyone considering a move to Williamsburg will find lots of valuable info for the Fords Colony community and Williamsburg VA. Explore the 52+ active clubs, see what’s happening below.. While Gloria and the couple’s two children stayed in Germany, Craig flew to Virginia to work with real estate agent John “Mr. Williamsburg” Womeldorf on finding the perfect / Greensprings West building lot. Gloria didn’t get to see the properties in person, but based on her husband’s communications and a little help from Google maps, she got a good feel for what they were like. Eventually, she and Craig found the right lot, a flat, .34-acre property with mature trees, just right for building their new home. Gloria’s stress level rose a bit when it came time to actually build the house – again, without seeing anything in person. “It was pretty stressful because I’m oriented toward details,” said Gloria, who loves art and design. 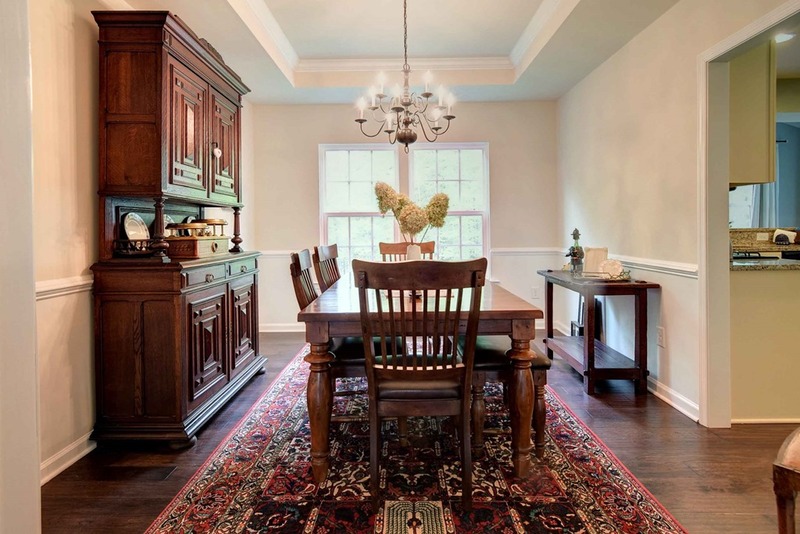 “I like to see the materials that go into my home.” Craig did visit Greensprings West / Thorngate Landing once during construction of their 4-bedroom, 2.5-bath transitional Colonial. However, most design decisions had to be made long distance, based upon emails, photos, and the help of their agent, John. The kitchen area is her favorite part of the house. 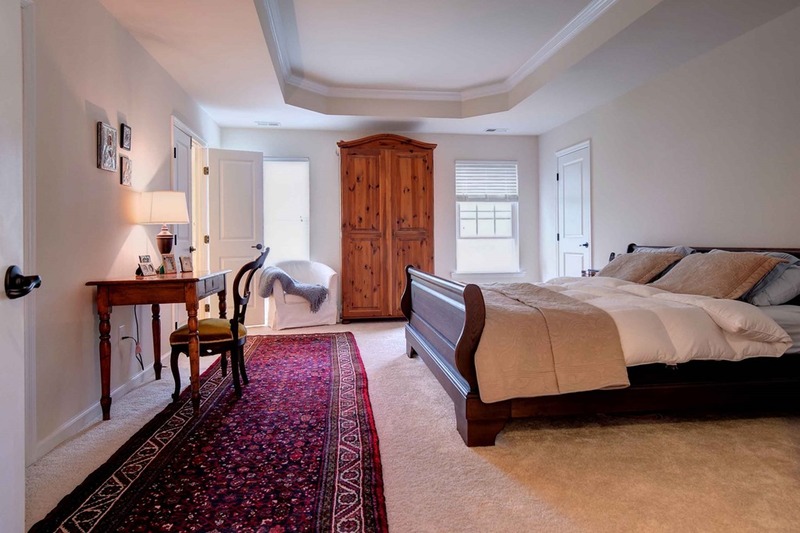 “It gets lots of morning light, and has an open and airy feel.” How about Craig? “His favorite place is his ‘man cave’ in the bonus room above the garage,” Gloria laughs. That room, which is accessible from the second floor, features a treadmill and a collection of military photographs. 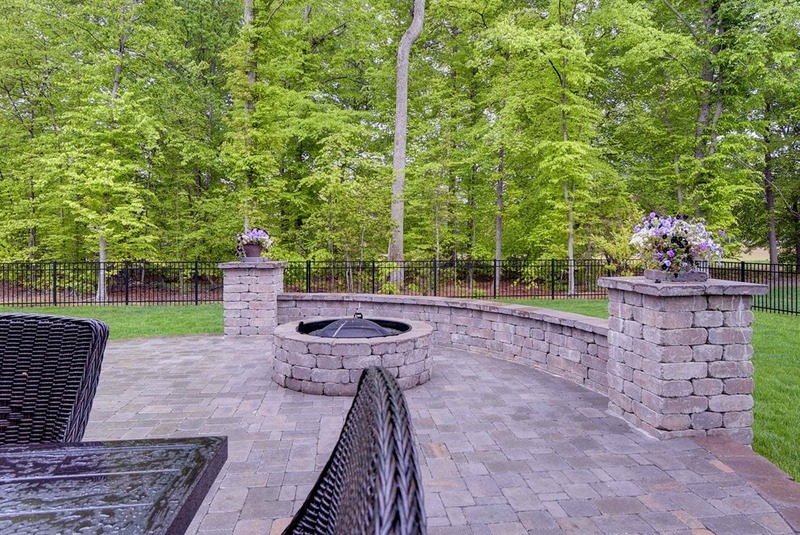 The patio curves into the lush yard, punctuated by stone columns and a circular fire pit. “We took safety into consideration when we designed the fire pit, putting it about 20 feet away from the house,” Gloria says. Why the stories? Because these aren’t just houses, they’re homes. Mr. Williamsburg knows that when you’re looking for a new place, you’re searching for more than just four walls plus amenities; you’re looking for that welcoming refuge we call home. 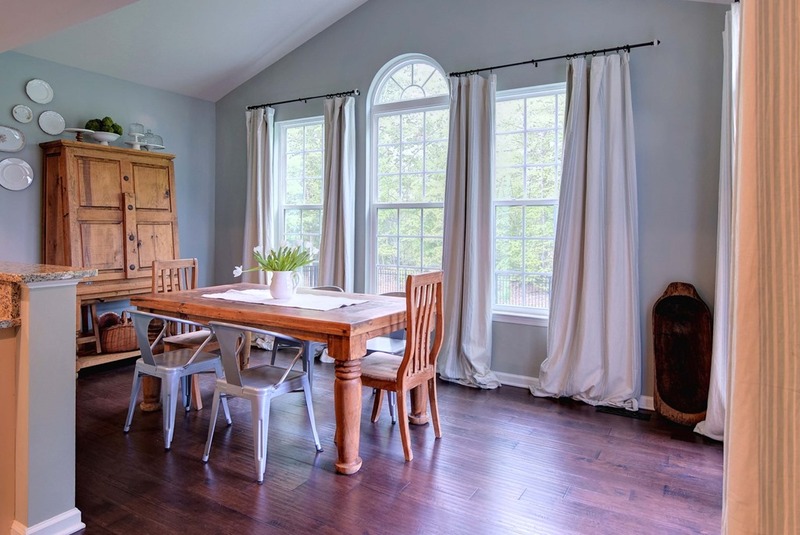 That’s why we go beyond the standard “4 bedrooms, 3 baths on large lot” statistics, to share how others have lived in this house, to reveal the home’s unique personality, to help you decide whether this is a place where your family could thrive. 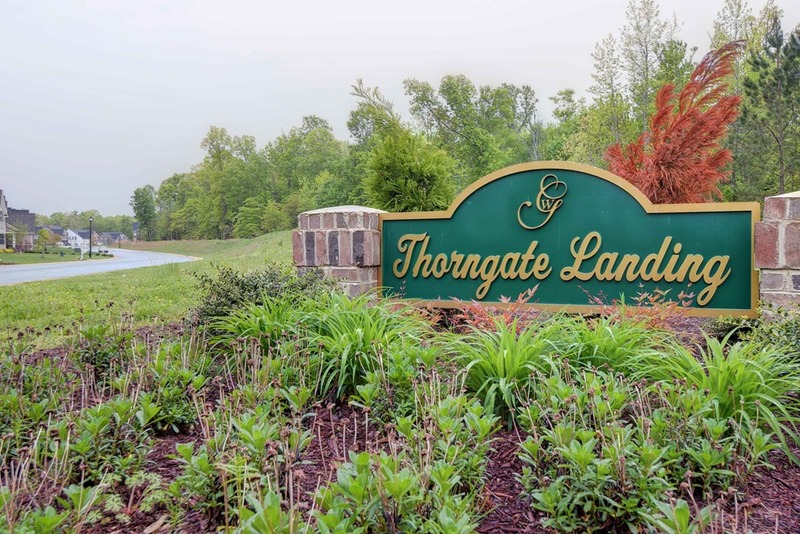 Likewise, we realize that you’re seeking not simply a development within a particular zip code, but also an opportunity to become part of a community. That’s why we share our sellers’ experiences as members of that neighborhood. 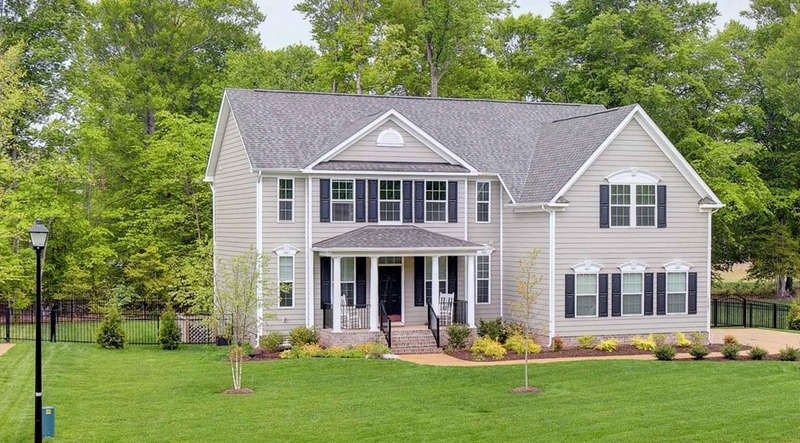 Contact John@MrWilliamsburg.com for further info on this home or others in the Williamsburg VA area..
5000 residents, living in over 2400 homes in Fords Colony. You will find updates from the 54 different club or interest groups, updates from different committees many other helpful articles. 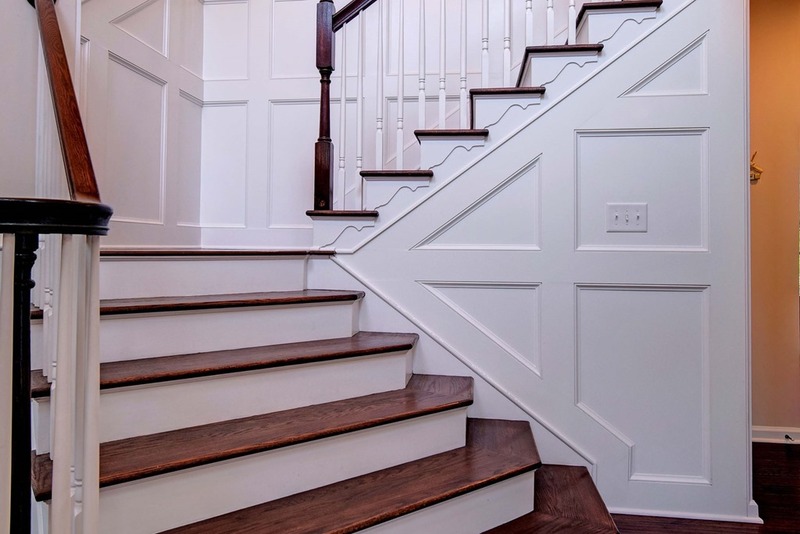 When E and M decided to build their dream home, they knew it had to be large enough to accommodate their elderly parents and have a layout that offered privacy, luxury, and all the amenities for entertaining. 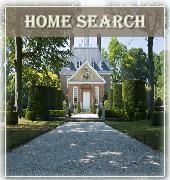 They also knew it had to be in Stonehouse, a Toano VA neighborhood located about 15 miles from Colonial Williamsburg. “We love this neighborhood. 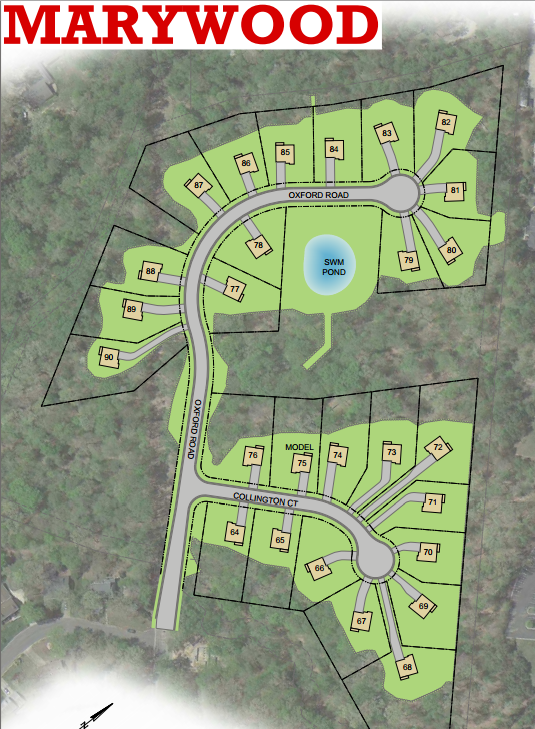 The people are friendly, it’s quiet, and there’s 50% green space here,” said E , noting he and M had lived in Stonehouse for years before building their home on Mill Pond Run. 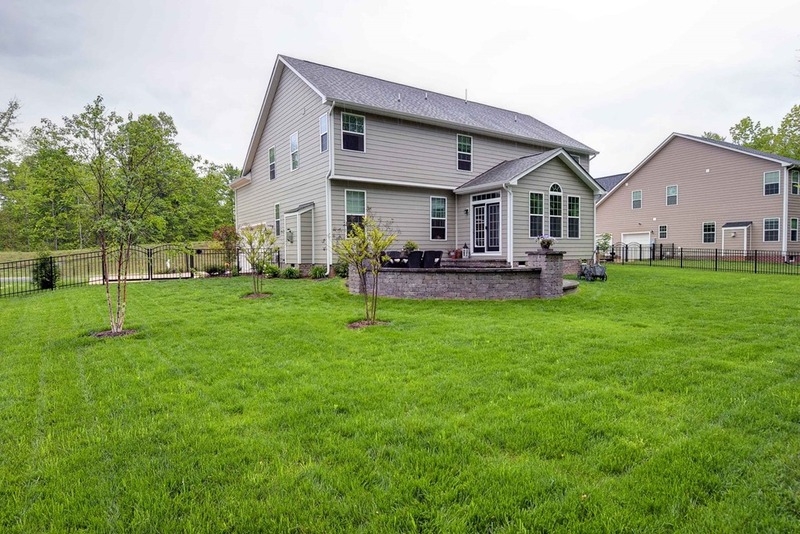 “When we decided to build a larger home so that our parents could live with us, I walked every lot available in Stonehouse to find the perfect property.” They finally found just the right lot: .88 acres with 3 acres of green space behind it, and a sloping yard to accommodate a walk-out basement. Luxury and Practicality. The 7 bedroom, 7.5-bath brick Cape Cod home that E and M built in 2006 is a combination of practical design and luxurious features. It is three-levels, with master bedroom suites on each floor to allow plenty of privacy for the couple and their parents. The house, which is handicap accessible, has separate heat/AC zones on each level. It also includes amenities for a healthy lifestyle, such as a full exercise room with multiple types of equipment, and an indoor lap pool with fit jets that allow swimming against the current. For recreation, the lower level of the 7,795-square-foot home includes a 6-seat media room, a den and full kitchenette, and a game room with slot machines, a billiards table, and table shuffleboard. 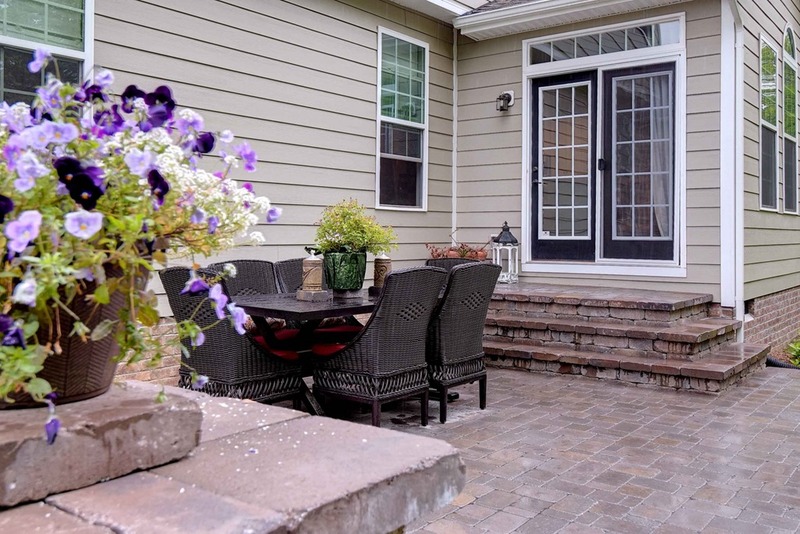 Outside, there is a screened porch as well as several patio areas for relaxing around a stone fireplace, doing a little outdoor cooking, and dining al fresco at a table for 10 under a covered patio. The lushly landscaped yard—which includes a waterfall with colored lights — provides plenty of privacy. E took a hands-on approach when he painted the ceiling in the media room to look like the sky. 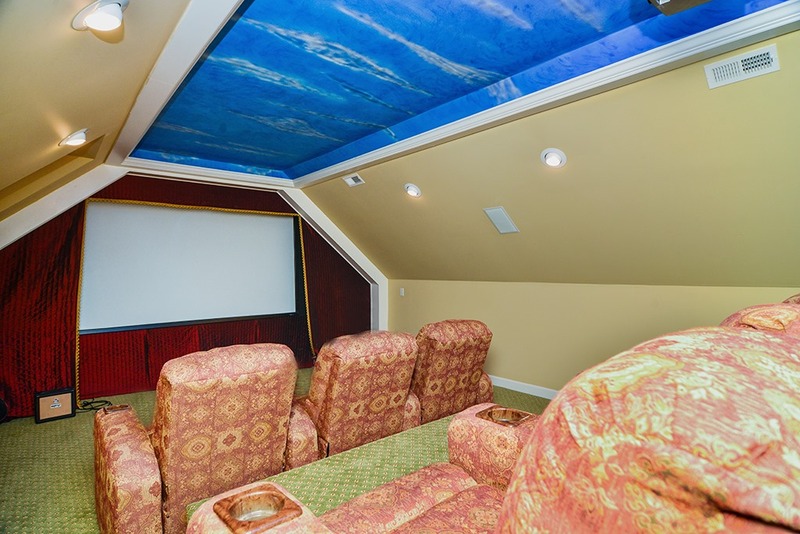 “We have side lights in the room for when you aren’t watching the movie, and up lights that shine on the sky painting when the movie is on,” E noted. Bring on the cooks. 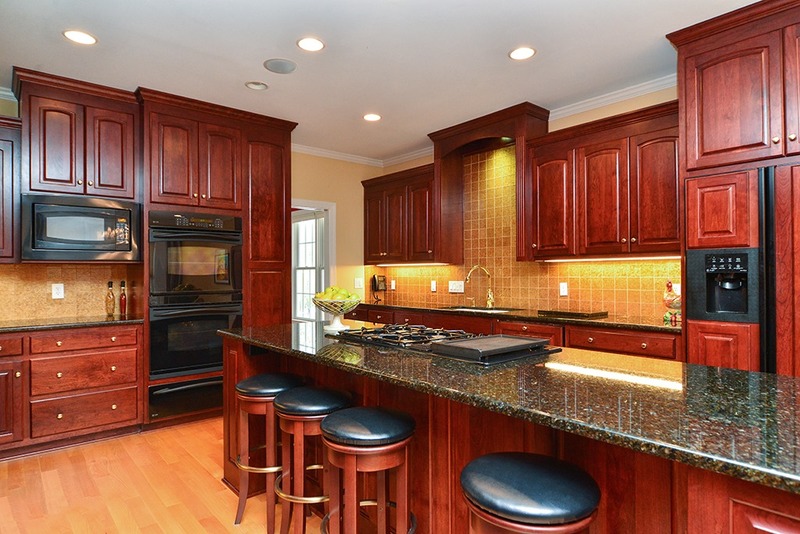 The gourmet kitchen was designed for a cook, and both E and M have skills. “We both like to cook and do grilling and traditional dinner cooking,” E noted. Not so traditional are the dog treats that they make for their twin Schnauzers, Maggie and McDuff, as well as the local humane society. 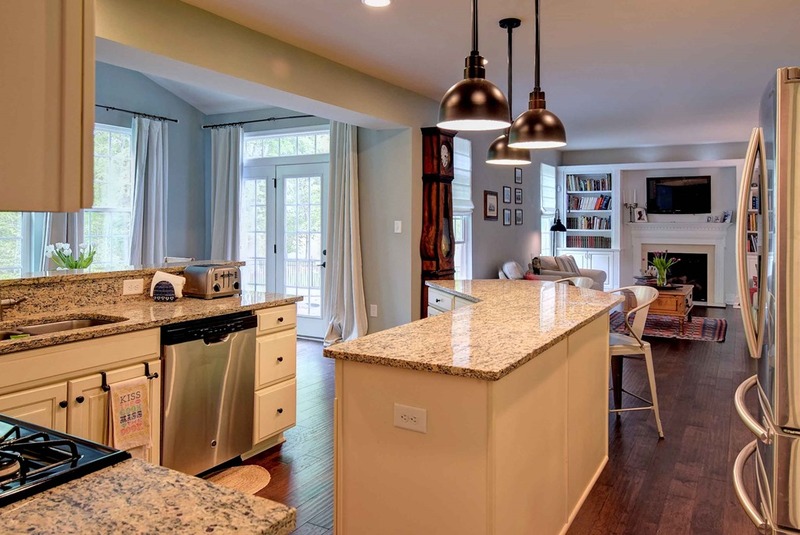 The kitchen includes an island with seating as well as a big table with upholstered chairs. 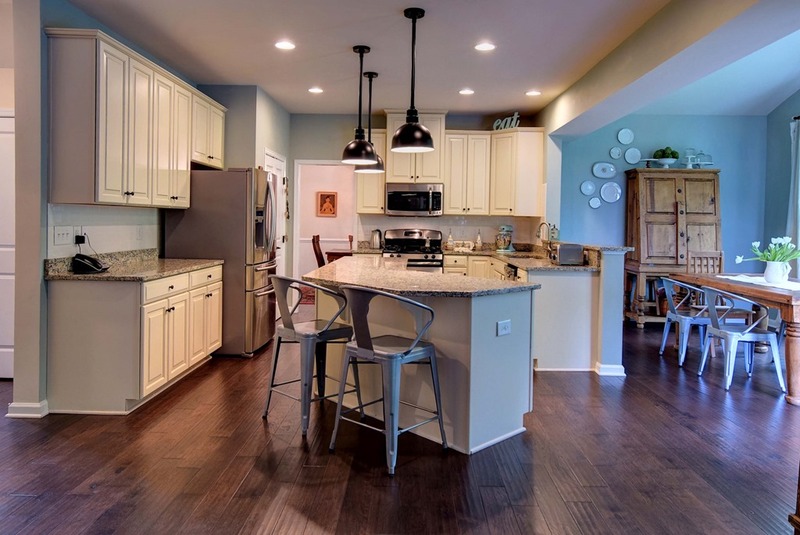 “It’s easy to entertain there, and it’s as comfortable as the dining room,” said E.
Living Smart. The house is wired so the couple can control lights, TVs, outdoor cameras and other features with a swipe on the iPhones. “I personally don’t know all the technology, but I just love the convenience,” E said. 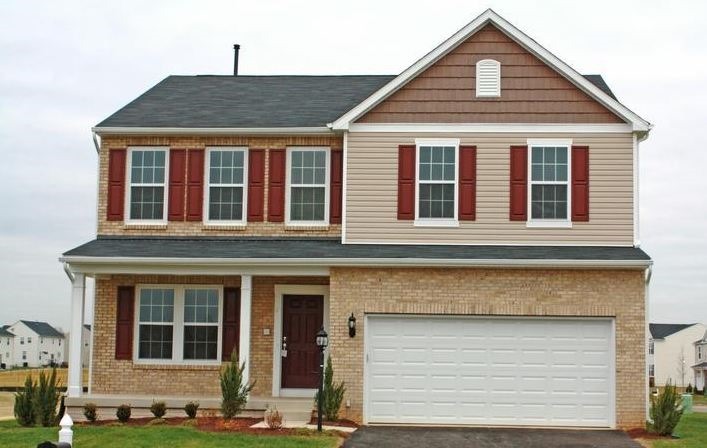 Mr. Williamsburg knows that when you’re looking for a new place, you’re searching for more than just four walls plus amenities, you’re looking for that welcoming refuge we call home. 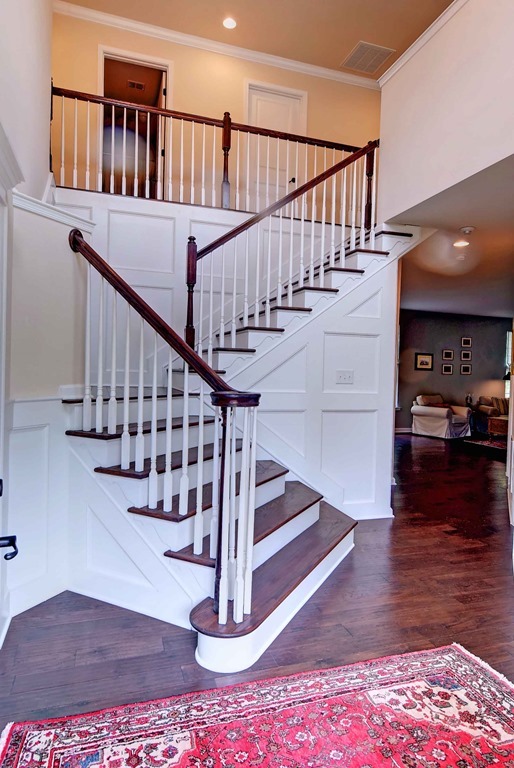 That’s why we go beyond the standard “4 bedrooms, 3 baths on large lot” statistics, to share how others have lived in this house, to reveal the home’s unique personality, to help you decide whether this is a place where your family could thrive. We trust these stories will assist you in finding your way home. 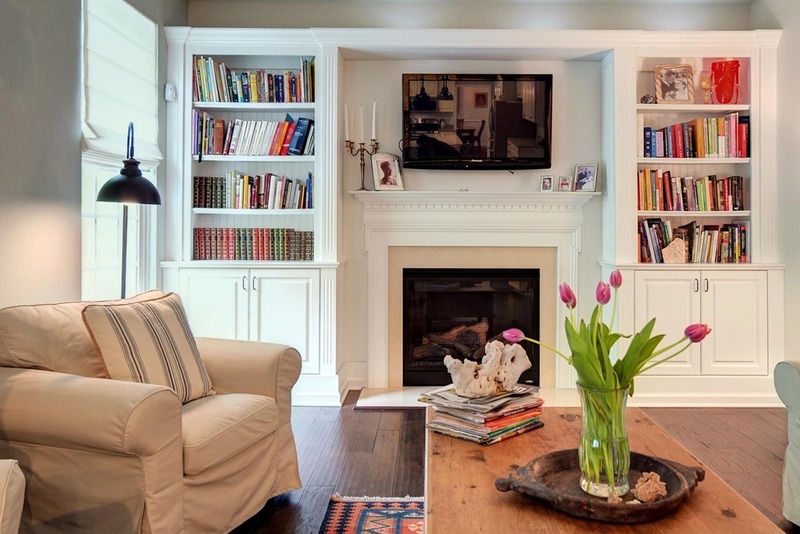 Want to tell your home’s story? Contact John “Mr. 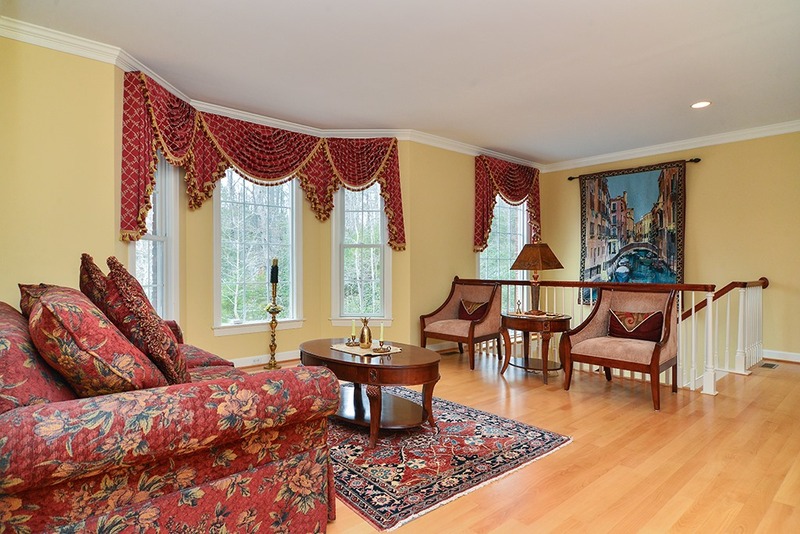 Williamsburg” Womeldorf at (757) 254-8136 or John@MrWilliamsburg.com and we’ll get you started. Home sales will start soon and four single family detached home designs will be offered ranging in size from from 1,951 to 2,821 sq. ft. Options will include finished basements. Pricing will be announced soon. 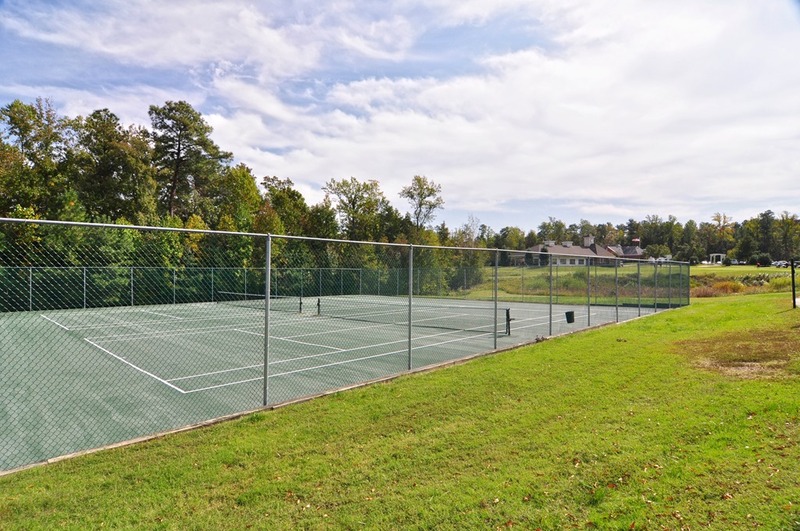 Community amenities include a playing field, tot lot, picnic pavilion with grill, walking trails, and sidewalks. 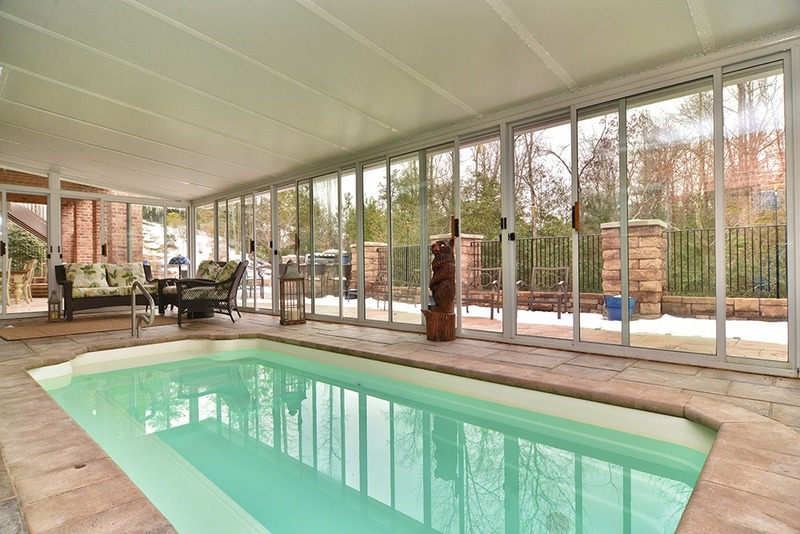 Home owners can also join the adjacent Kingswood Pool home of the Kingswood Klams swim team. 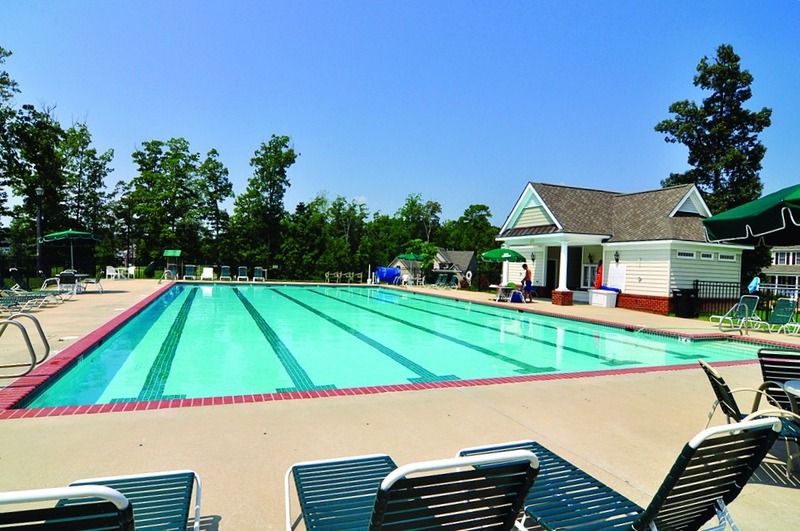 Its always interesting to look back to see the top selling neighborhoods in Williamsburg VA. The areas covered in the report below this includes the City of Williamsburg, James City County and Upper York County. The numbers are from the Williamsburg Area Assoc of Realtors MLS. There could be some sales ( new construction, for sale by owners) that don’t show up in this report.